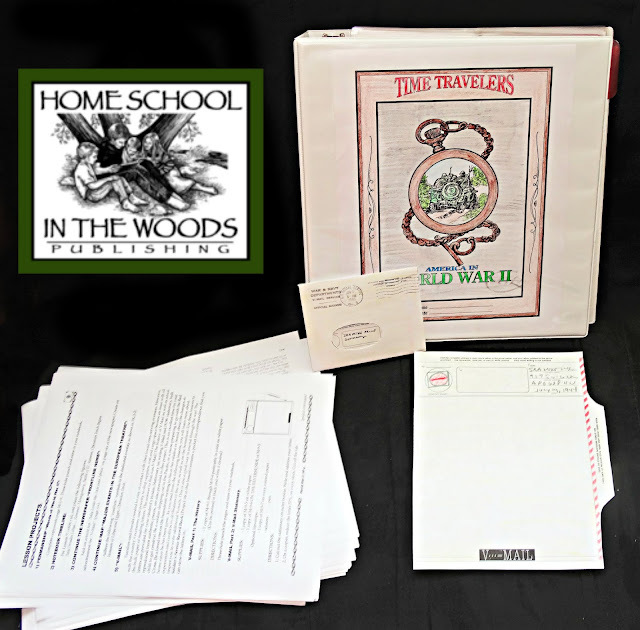 Home School in the Woods' Time Travelers American History World War II provided my child. 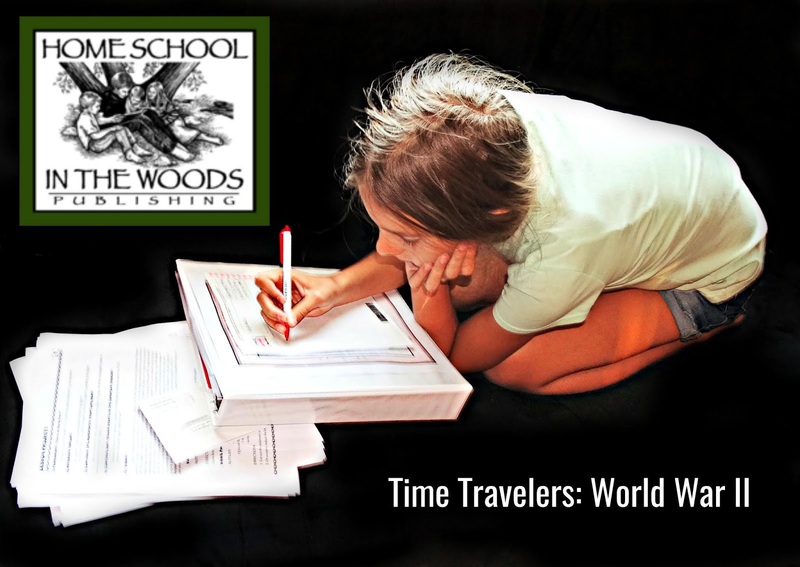 From maps, timelines, and laptop projects, it provides an interesting chance for the student to live the time period. One of the ways I found that I learn best is by doing and the Home School in the Woods Time Travelers provided that. 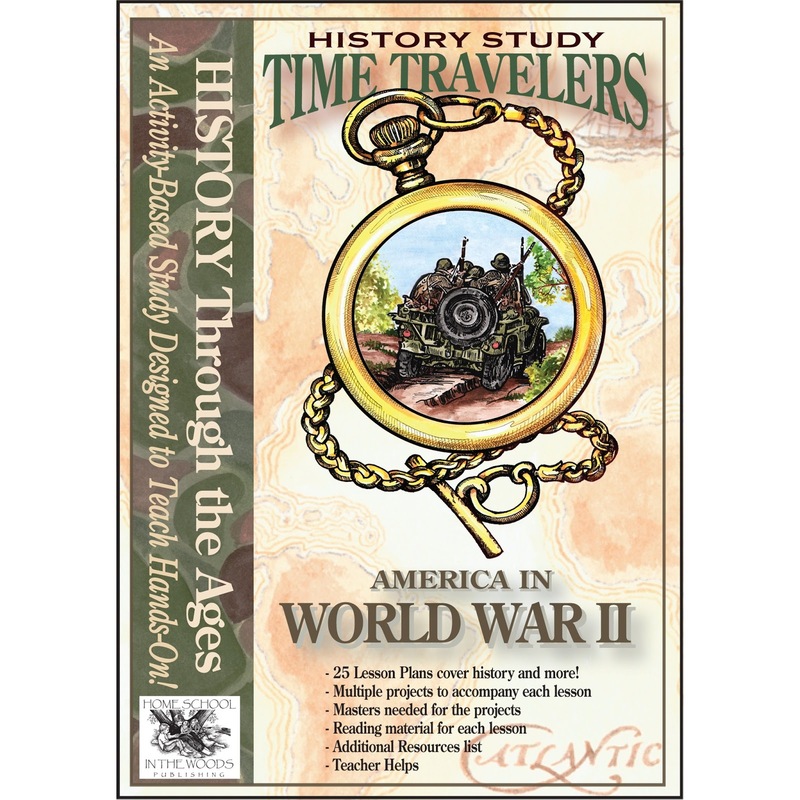 The Time Travelers American History series World War II was available either by download or a CD with three types of licenses available: family, teacher or school making it versatile for any learning environment. For the purposes of this review, I downloaded my appropriate PDF files first and utilized the online functionality from the CD view. It has 25 lessons that can be adjusted to the needs of the child or the expected length of time the teacher would like to cover the decade long time period over 5-10 weeks. To begin, I utilized the Lesson Plan Schedule which was very helpful. It separates each lesson by either lapbook, notebook or project, for example. One could either pre-plan and print off each lesson all at once or one at a time. I preferred one at a time to absorb myself in what I was about to teach my student. There is a nice introduction that helps explain the course as well as helpful tips in preparing for the course. Everything is provided to ensure a fun successful learning experience. There are also Project Days included in the lesson plans to provide extra time as needed. There are many options available to ensure your student is enjoying the lesson which makes it a very versatile curriculum. Pages are key coded making it easier to find the appropriate page for each lesson such as Master, Project or Teacher Keys. Gallery of Project Photos - this is nice so you and the student can ensure you completed the projects correctly as a picture is always a nice validation. Lap-Book Instructions - as above, this is a nice section to provide extra assistance in completing the lap-books. Starting with Lesson 1, upon reading the text PDF file, it provided a very good review of setting up the world scene 20 years prior to World War II which is essential for understanding the mood of particular countries whether it was their desire to stay out or their need to get involved. Each lesson includes text pages and project pages. For Lesson 1, after we read the text, we started with the lesson projects. Each lesson varies and provides a student an opportunity to try out various projects to broaden their learning experience. Lesson 1, for example, included Penmanship which encompassed quotes and a selection to choose from to find the right level for the student. The other project was the Notebook Timeline that included the timeline as well as Timeline Figures of the major players and events of World War II. The final project was on the topic of Dictators. This project reinforced the knowledge of the major players of the war and was the start of the lap-book. For Lesson 9, War in Africa, we learned about V-Mail in the Lesson Projects. V-Mail was a means for our service members and families to correspond with one another without adding enormous costs on shipping the letters as well as cutting down on the mass volume. This lesson, like the others, provided an opportunity to create many different projects. This was one of my favorites with all the options available and being a former journalism major in high school, I loved the newspaper lessons. My student enjoyed this project as well as I think she was able to pretend she was writing her grandfather who was in the Air Force. The reproductions, taken from originals, was fun to create and gave her a feel of what it was like back then. The number of activities are interesting, fun and creative. 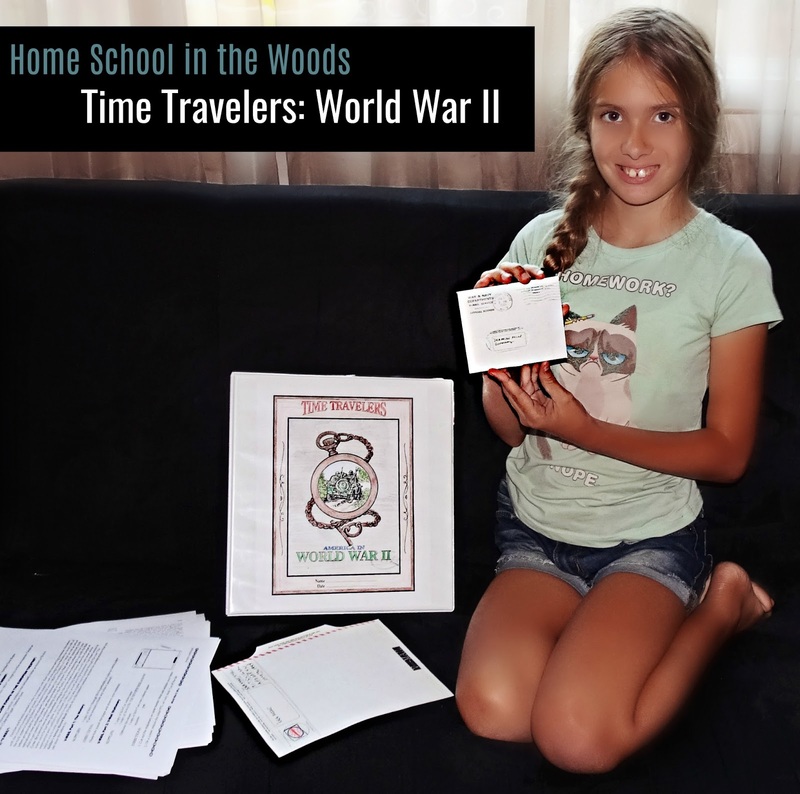 For example, from creative writing to ration cooking recipes to games to authentic documents, there are just so many creative and fun ways to really teach all about World War II. 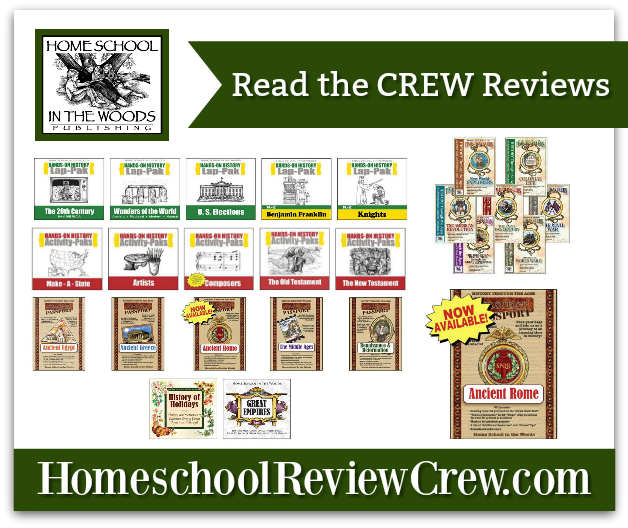 Other new projects such as the early release from Home School in the Woods on the launch of Project Passport: Ancient Rome study ahead of schedule that can be downloaded here and the complete Project Passport collection is available to here. Find Home School in the Woods on Facebook, Twitter, Google+ and Pinterest.